Several new strings have been tacked across the corkboard in the rapidly unraveling 2016 election scandal. Recently obtained FBI emails shed light on what appears to have been high-level coordination between the FBI and CNN surrounding the release of the infamous "Steele" dossier. In an April leak of the Comey memos, we learned that the former FBI Director briefed then-President-Elect Donald Trump on the dossier on January 6, 2017 after he wrote in a memo that various news outlets - "CNN in particular" - were "looking for a news hook," and would soon be reporting on it. CNN, on the other hand, considered Comey's meeting with Trump to have legitimized the document - making it their journalistic responsibility to report on it. Thus - any coordination between the FBI and CNN surrounding its report on the Steele dossier is highly relevant, since the Jan. 10, 2017 release of the dossier by Buzzfeed immediately after CNN's report - along with the subsequent firing of James Comey on May 9, prompted the launch of special counsel Robert Mueller's ongoing investigation. CNN's bombshell report on Jan. 10 of last year includes a claim that Comey gave Trump a two-page summary of the dossier - which Comey denies. Regardless, the fact that CNN knew about the Comey-Trump briefing and a specific claim about a two-page memo begs the question; who leaked to CNN? New FBI emails obtained by Sen. Ron Johnson (R-WI) provide a look behind the scenes surrounding Comey's briefing of Trump, as well as what was discussed after the CNN report - suggesting that former Deputy director Andrew McCabe - who was fired for leaking to the press, had specific knowledge of CNN's plans to publish. “CNN is close to going forward with the sensitive story,” McCabe wrote in an email to Comey, Rybicki, and two others. 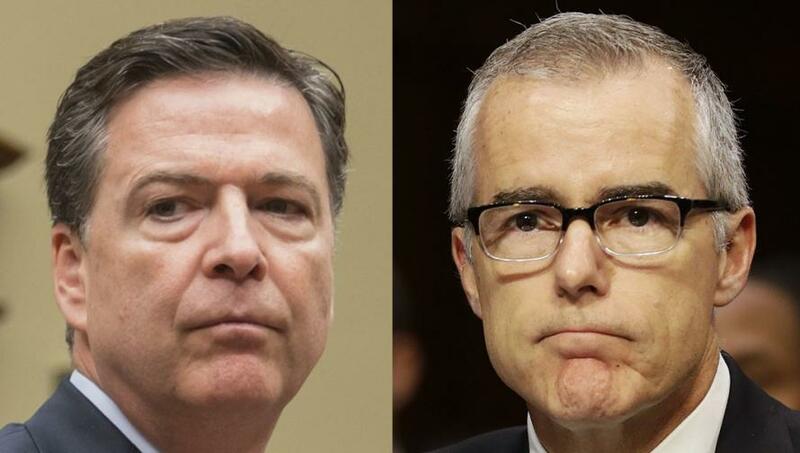 “The trigger for them is they know the material was discussed in the brief and presented in an attachment.” McCabe does not reveal how he knew CNN’s “trigger” was Comey's briefing to Trump. In a Monday letter to FBI director Christopher Wray, Sen. Johnson, chair of the Senate Homeland Security and Governmental Affairs Committee, provides a timeline of events which correspond to the newly obtained FBI emails, and asks the agency to provide a list of all the members of the "sensitive matter" team referenced in Rybicki's January 6 email. Johnson also wants to know when FBI officials "first learned that media outlets, including CNN, may have possessed the Steele dossier. " As The Federalist notes, "To date, there is no public evidence that the FBI ever investigated the leaks to media about the briefing between Trump and Comey. When asked in a recent interview by Fox News Channel’s Bret Baier, Comey scoffed at the idea that the FBI would even need to investigate the leak of a secret briefing with the incoming president." Johnson's letter can be seen below. He has requested a response by Wray no later than 5:00 p.m. on June 4.